I’ve registered for this event last month and I have about 6 months more to go. 100km of trail running in Kinabalu Mountain. 30 hours is the maximum time given to finish the trail run. 5 Bruneians have registered for this event. To prepare for this run, I have registered for SCB Brunei half marathon in April and Borneo Marathon 42km in May. 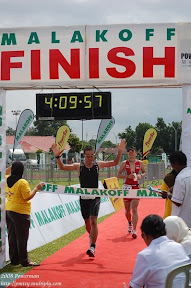 Have to train hard after this bro..happy to see Bruneian join the race, like last time 2 of us only. Keep it up. Kairi. That's awesome.. Have you another website to share your preparations for this (besides the other marathons).